Nearly a year ago, Gabby, age 12 was diagnosed with cancer, and it put the brakes on everything in this active, fun-loving girl’s life. 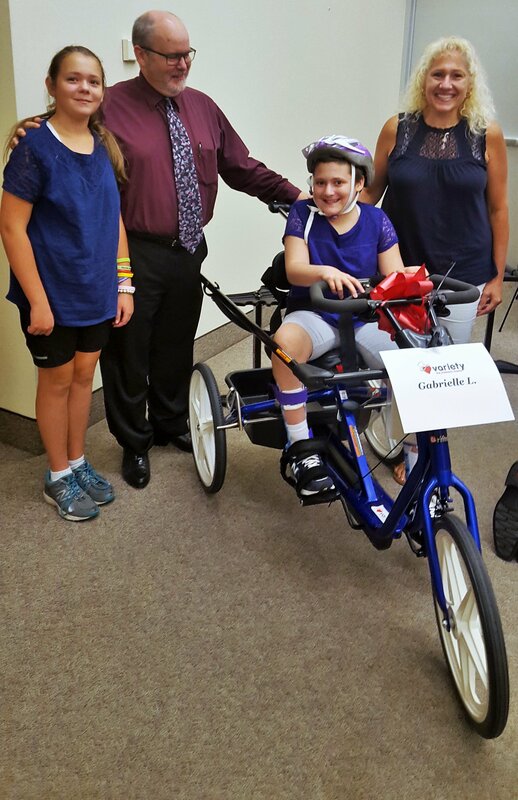 Gabby is pictured above on her new bike with her parents and twin sister. 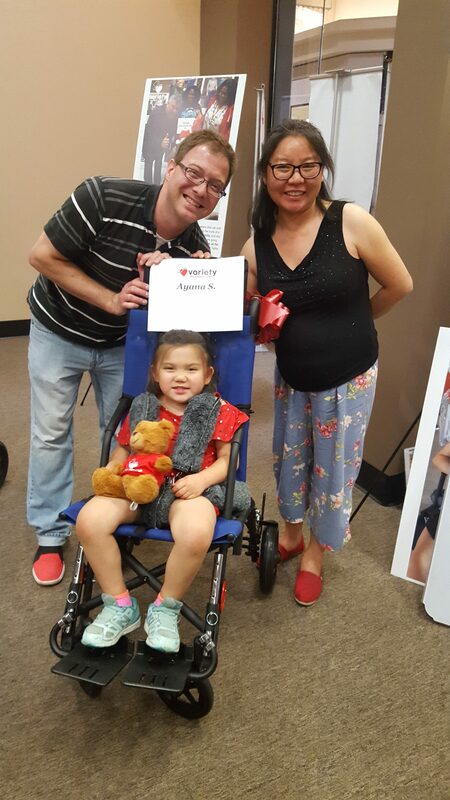 “Gabby was a very happy-go-lucky 11-year child who had just finished the 5th grade. She has lots of friends and a twin sister who she was very active in playing with outside during the summer, whether it was going to a local amusement park, swimming, playing volleyball, or even riding bikes in the neighborhood. All that came to an end when she was diagnosed with cancer in June 2017. As a result, Gabby was too sick to go to school for her entire 6th grade school year, and spent it laying at home too sick to see her friends or do any of the things that typical kids her age should be doing. Medication left her legs and feet too numb to walk without braces, as well as keeping her off balance. Today, she is better, but still prevented from doing most of the things she used to love to do. This adaptive bike will help her to get out and play with the other kids and feel like she is a part of the old world she used to know. This bike will also allow her to get much needed exercise for her legs to re-build her strength. 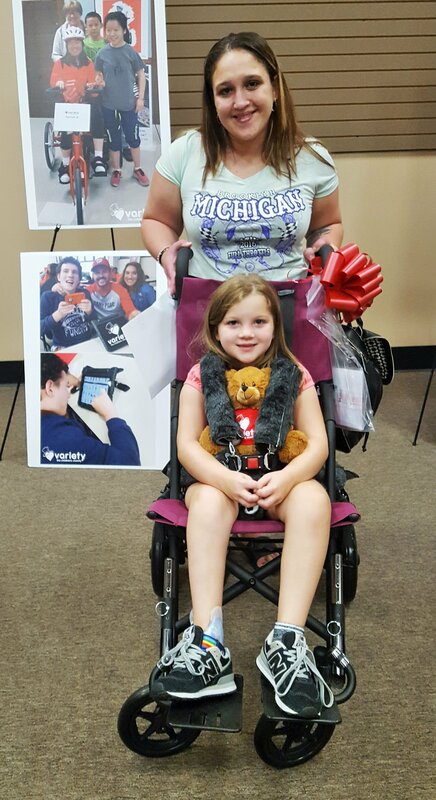 Well, life took a positive turn for Gabby on Tuesday at Saint Vincent Hospital when she received her very own BLUE adaptive bike through Variety alongside many other kids. Something that Gabby said she had been wanting for a few months now. You do NOT want to miss watching this Erie News Now piece by Reporter, Emily Matson – click here to watch. Be sure to watch it until the very end for Gabby’s words of excitement. A “Doubleheader” Week Impacted 25 Amazing Kids! 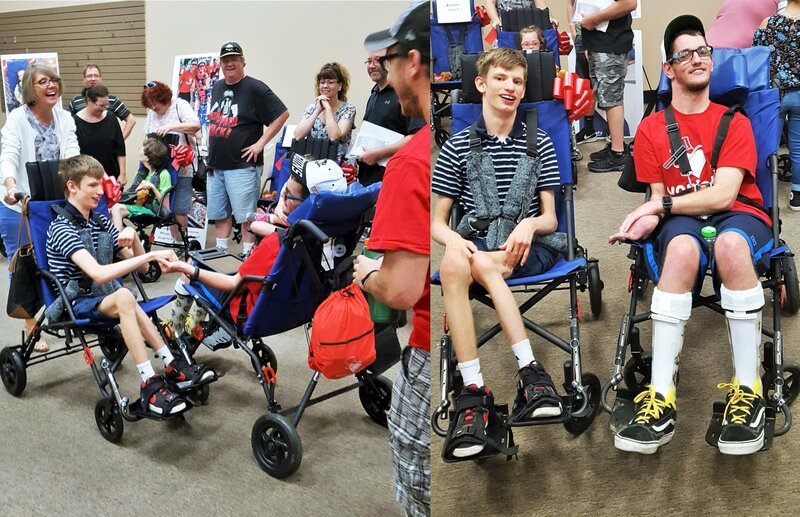 This week’s “doubleheader” of presentations impacted 25 kids with $37,200 worth of adaptive equipment! Zach is pictured above ALL SMILES with his brother Sammy and mom, Kimberly. 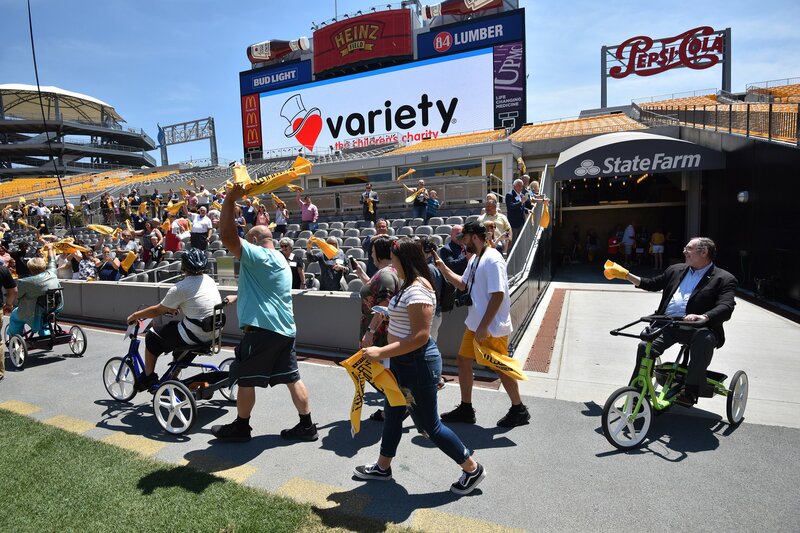 This week, Variety had two presentations of adaptive bikes, adaptive strollers, and communication devices. On Monday, we partnered with the Appalachia Intermediate Unit 8 in Johnstown, Pa. and on Wednesday, we partnered with the Capital Area Intermediate Unit in Enola, Pa., and in total, we presented 25 local kids with their new equipment – worth $37,200! 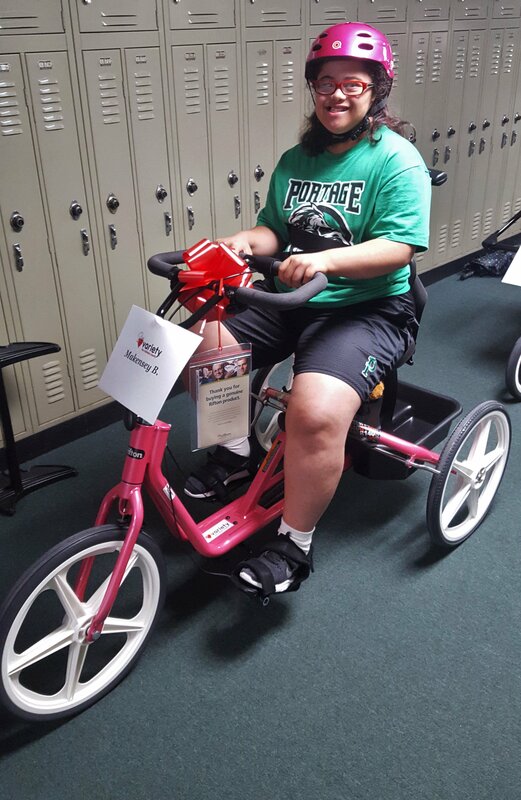 We also met Makensey, age 15, from Portage, Pa., who was beaming with joy to receive her new PINK adaptive bike. Makensey is ALL smiles on her new bike! 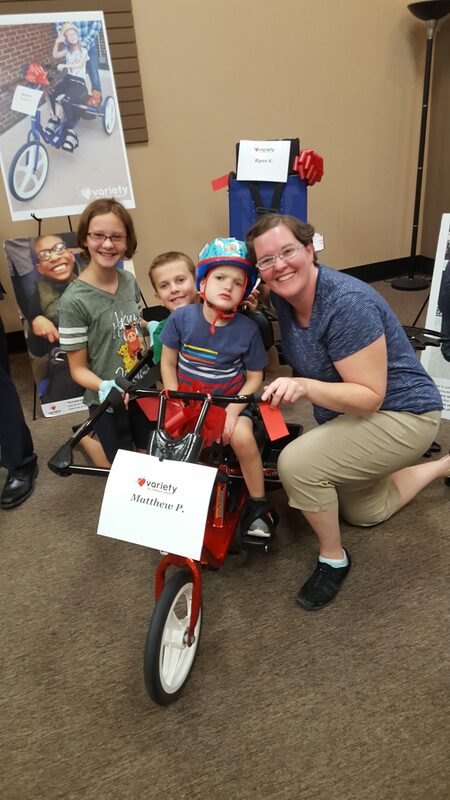 Since November 2012, more than 2,500 adaptive bikes, adaptive strollers, and communication devices have been sponsored for eligible kids throughout Variety’s 54-county service area in Pa. and West Virginia (that is nearly $3.9 million worth of adaptive equipment). The impact that has been created for these extraordinary kids is because of the incredible team of people (people like you) that give their time, resources, and support to make this work a reality. Thank you so much. 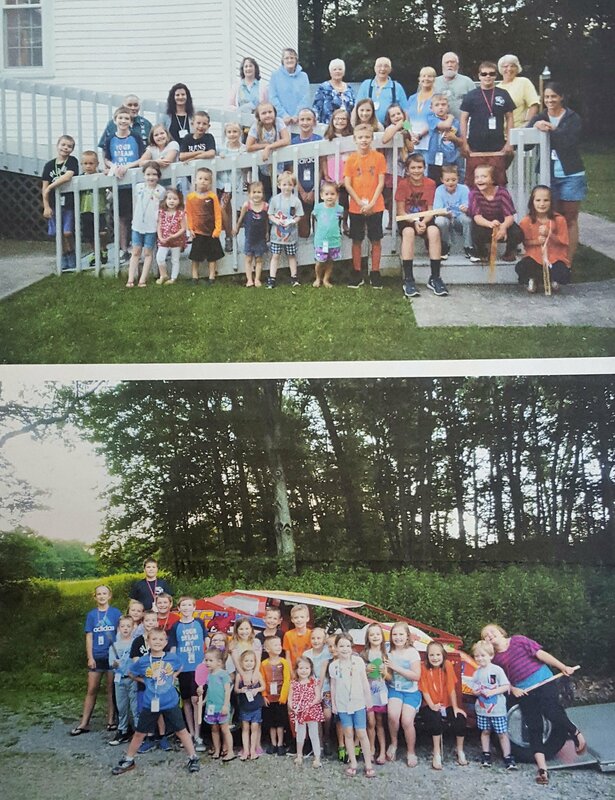 In a matter of four days, the youngsters from the 2017 G-Force VBS at Kingsville United Methodist Church raised money to help Variety kids in the Clarion County area – a total of $375 was generated by 26 kids that participated in this summer’s program, which was then matched by the church! The VBS group is pictured above, all smiles for the impact that they are able to make for more kids. It is inspiring and amazing to see such young children want to give back to others that are in need. Because of these 26 kids, Variety received a donation of nearly $800, and it will be a big help to our work, especially for the kids of Clarion County. We congratulate these extraordinary children for their hard work and commitment to giving back! 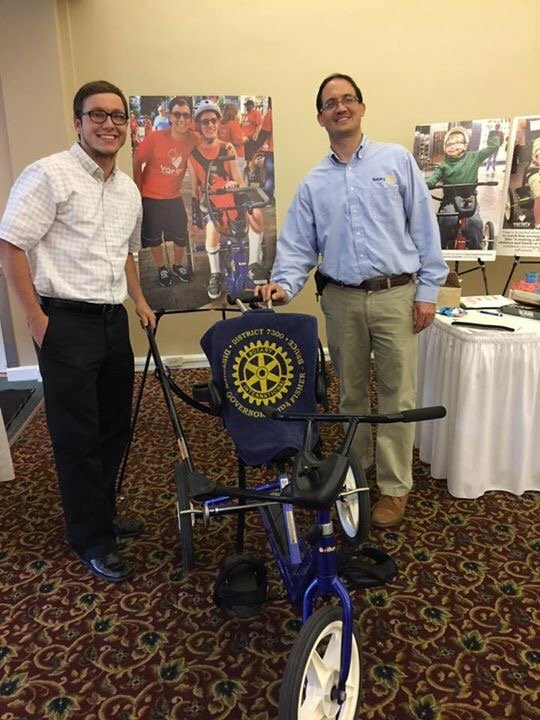 This past year, the Shaler Area Rotary Club began partnering with Variety and has had a quick / extraordinary impact! 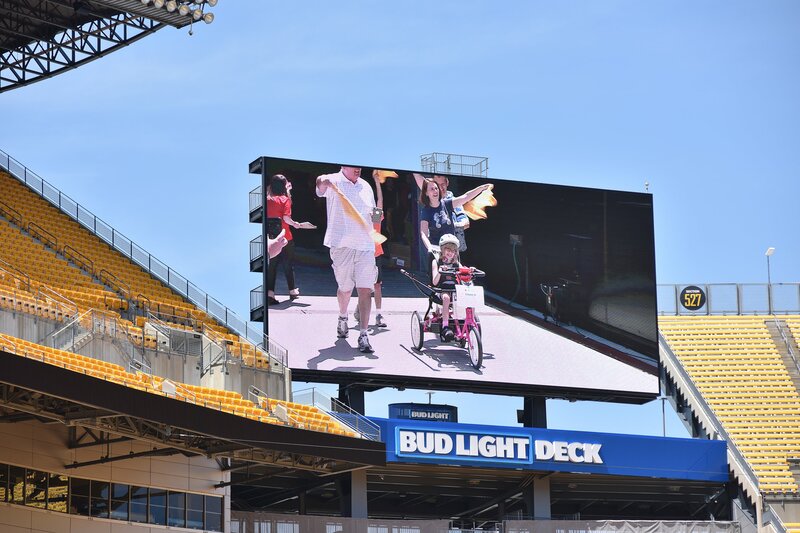 Not only did they work to raise funds to sponsor an adaptive bike for a Shaler Area child, but they went even further. 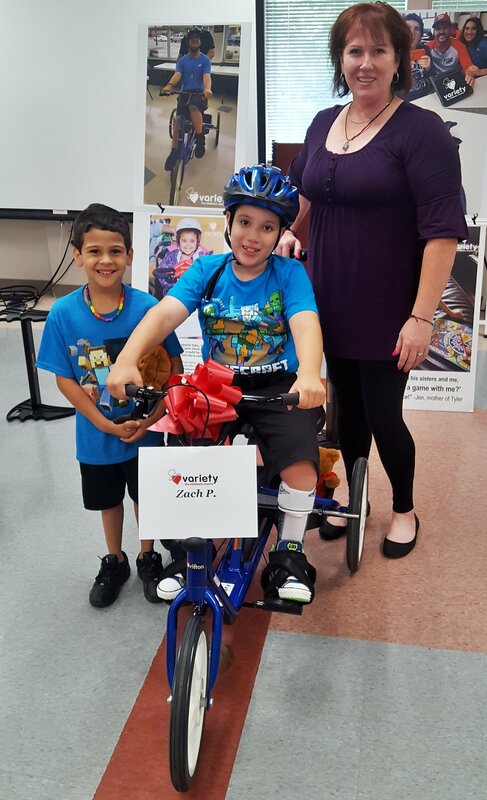 Rotarian members approached the Shaler Area School District and asked if they could send home Variety’s “My Bike” Program handout to all elementary and middle school students – nearly 600 kids! 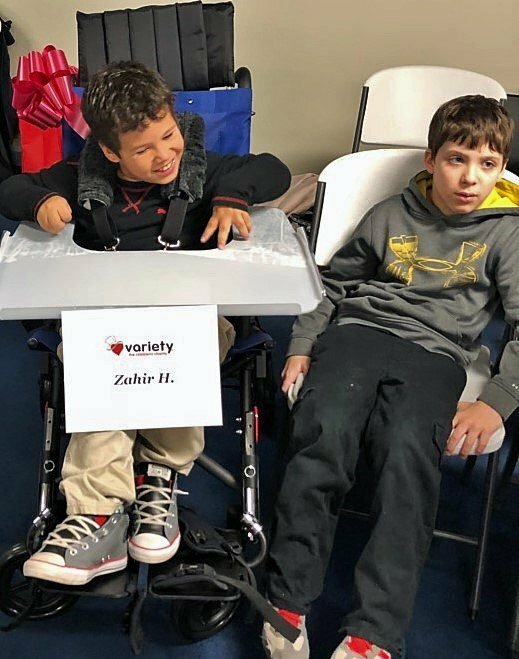 More recently, they highlighted Variety during their annual golf outing, and Evan, brother of Jacob attended to speak about the impact that Variety has had on his brother’s life. 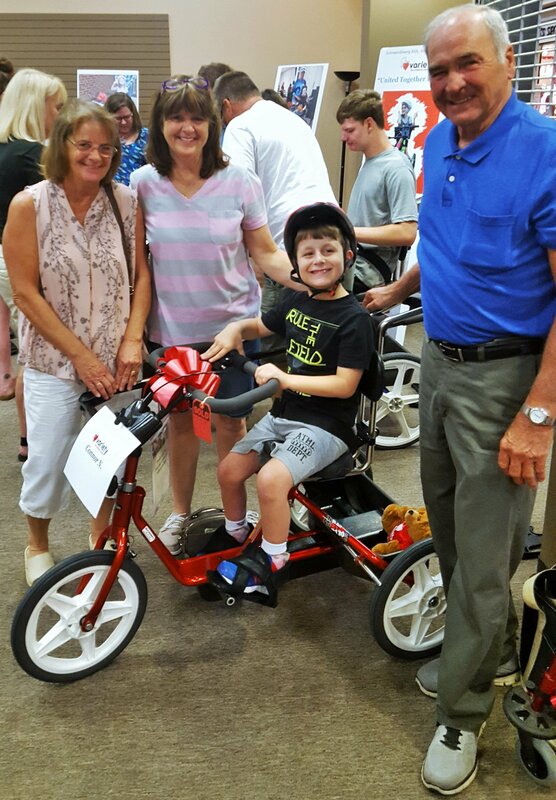 Evan is pictured above with Shaler Rotary President, Dr. Clint Cable at the June 5th golf outing! We highlight the Shaler Area Rotary Club because they discovered a need in their community, and then without too much thought, acted to help make a difference. 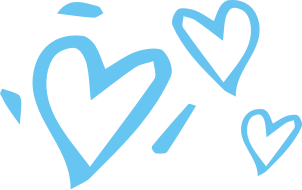 They went above and beyond as a partner and used their local relationships to spread the word in the community – something that is not always possible for Variety to do at a local level. 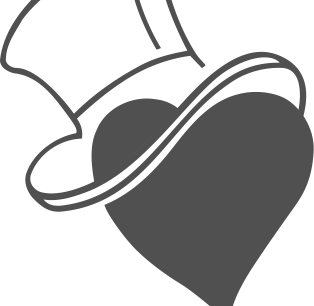 We could not be more grateful for their time, support, and commitment to Variety and the entire community! !